Holding space for families during precious times is my specialty. My professional life has revolved around serving families. As a massage therapist for twenty years, I served various members of the Evanston, Illinois community. Whether a client needed support as an athlete, as a woman during her childbearing year, as a person suffering from chronic or acute pain, or as someone who wanted to include me in their wellness goals, I was happy to help. I was inspired by my pregnant clients to become a childbirth coach, or doula, and I served families during this 15 year stretch while helping to usher new life into each growing family. While my boys, now 20 and 17, were little, we discovered the Montessori education philosophy. It was so intriguing to me that I trained to become a Montessori teacher and spent over 10 years as a 1st-3rd grade teacher. Each of these professions has allowed me to witness growth within individuals and families. These professions have honed my listening and advocacy skills and given me an honored role with families during precious moments. Becoming a Life-Cycle Celebrant was the perfect fit to allow my career to come full circle. I really enjoy hearing couples’ stories about how they met and fell in love. I am delighted to weave those stories into a ceremony that reflects each couple’s love for each other. Holding space for your ceremony is my privilege and honor. I look forward to helping you create a day to remember! One happy bride, Annie Passanisi Ruggles, reported, "At least 15 people have told us our wedding was the most personal, most enjoyable, most memorable wedding they have ever been to. And we attribute that entirely to Bonnie. Bonnie took the time to get to know us, asked us valuable questions about our relationship and hopes for our marriage, and hand-crafted our ceremony to our exact specifications." Working with a Life-Cycle Celebrant means that you hold the reins. Tell me your story. I will listen with care. Your ceremony, whether it be a wedding, vow renewal service, baby welcoming ceremony or other life-cycle event, will have elements that you have dreamed of along with hand-crafted nuances that will delight you and your crew. I look forward to collaborating with you. 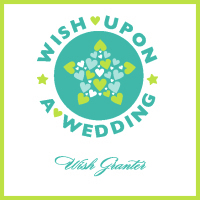 Let's keep your family and friends talking about your incredible ceremony for years to come! Services include a no-obligation initial meeting, unlimited email exchanges to ensure that your ceremony is perfect, a no-charge rehearsal, and my officiating duties at your wedding. Let’s get to know each other, discuss your wishes and explore how I work to ensure that your wedding day is everything you hope it will be. Reach out today at [email protected] , and let's get started!